The following PDF documents and videos provide an easy to use summary of what to know for the initial teacher training and the first steps associated with using Reading Plus in your classroom. Click on the image to view any document or video. For more detailed information regarding Reports and analysis go to the Data Coaching page. 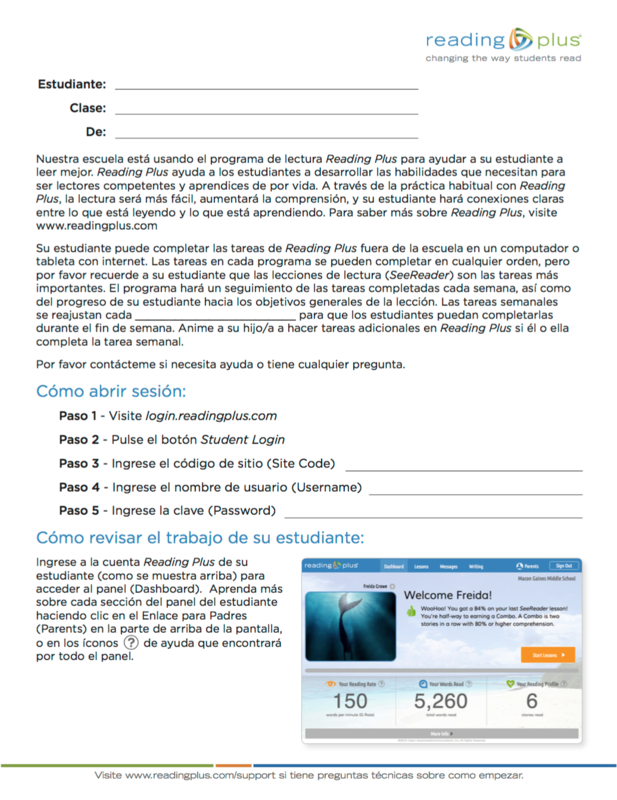 Reading Plus is for students with foundational reading skills who are ready to become proficient silent readers. The program helps students establish silent reading fluency, increase comprehension skills, and expand vocabulary while broadening interests and building knowledge. The program includes three instructional components: SeeReader, ReadAround, and iBalance. ​3. Complete all assignments every week. Reading Plus will help you to become a stronger, more confident reader. You will learn to read faster, recognize new words, and comprehend what you have read. Becoming a stronger reader will enable you to read textbooks, novels, articles, blog posts, and other pieces of text more easily. As you become a more confident reader, you may develop new interests and enjoy learning about things through reading. English - Our school is using Reading Plus to help students become better readers. 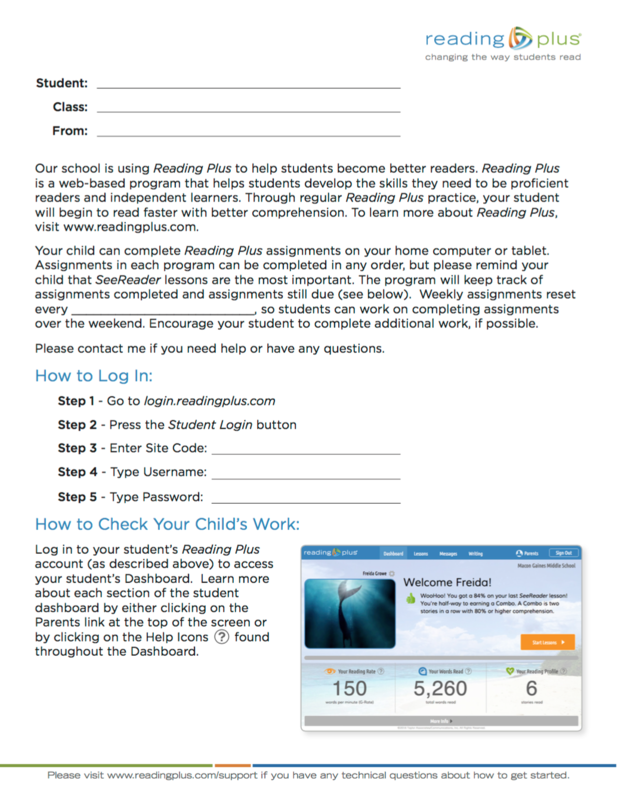 Reading Plus is a web-based program that helps students develop the skills they need to be proficient readers and independent learners. Through regular Reading Plus practice, your student will begin to read faster with better comprehension. To learn more about Reading Plus, visit www.readingplus.com. ​At the heart of every successful Reading Plus implementation are dedicated educators who develop creative strategies to engage and motivate their students. Here are a few examples of the kinds of motivational strategies that elementary school teachers are using to ignite enthusiasm for Reading Plus. By default, students’ weekly assignment schedules are based on initial assessment results. Students within a class will have varied schedules with varied time requirements. Refer to the Class Placement Report to see students’ weekly assignment schedules, based on the initial assessment. You can set the same number of weekly assignments for all students in Class Settings.